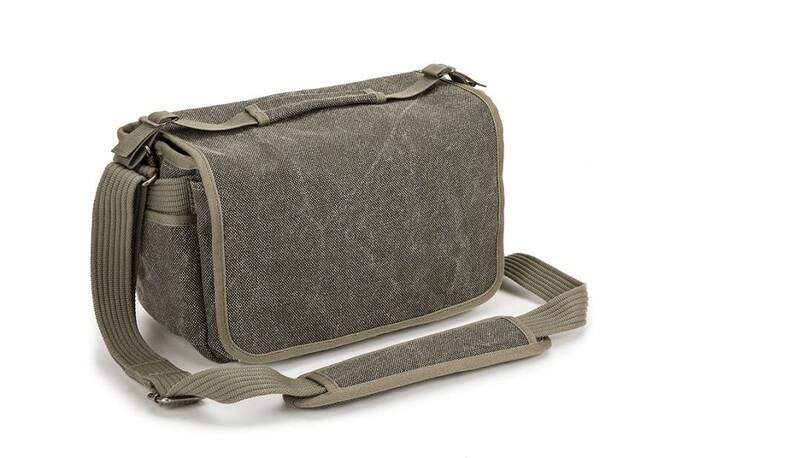 The pinestone Retrospective 7 from Think Tank is a shooter's bag. With enough space for your standard camera with a 24-70mm f/2.8 attached and a 70-200mm f/2.8 by its side, you'll also have enough room left over for your flash and accessories. Plus, there's a rear pocket large enough for your 10" tablet or 11" MacBook Air. The internal dividers can be configured to accommodate the gear you need that day. Inside, there are two hook and loop nylon pockets that can hold a flash or similar sized item. Outside, under the main flap is another pocket that can hold an additional camera body or accessories. The main flap is secured with hook and loop panels and all the zippers are durable YKK design.Think Tank's unique "Sound Silencers" panels located under the main flap can be deployed to eliminate the "ripping" sound of the touch fasteners when you need to access the interior. This will come in handy when shooting in quiet venues such as court rooms, golf matches or public relations events. For business cards, there's a clear interior pocket for extra cards or your ID. An interior zippered organizer pocket can hold your filters, cleaning cloths and other small accessories. Pens, maps and even more stuff can be kept within a second interior storage pocket. 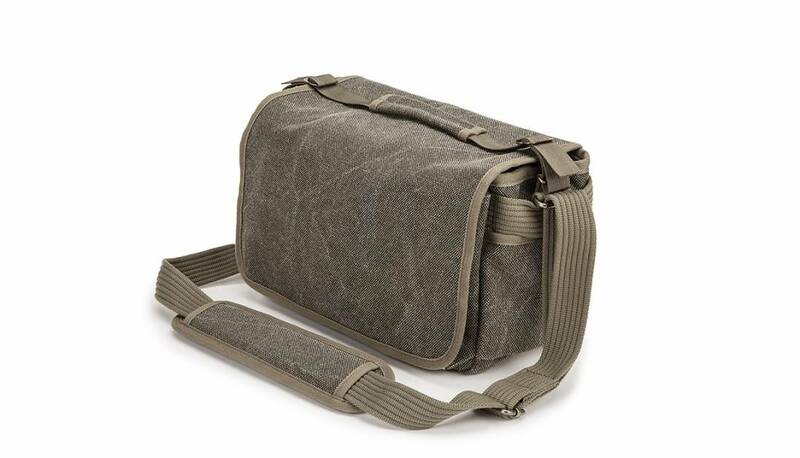 Carrying the Retrospective 7 is easy with its adjustable canvas strap or removable top carry handle. The shoulder strap comes with a cushioned pad that can slid along the strap for optimum positioning. The strap is also supplied with patches of non-slip material to keep it stable while in use. For bad weather, the bag comes with a rain cover that covers the bag but exposes both the shoulder and carry strap. The Retrospective has been designed to keep you fully equipped and unobtrusive while on the job or just out for a walk with the family. It has a classic design that is subtle and functional.